HTML email continues to prove itself as a viable tool for businesses who want to communicate with their audience in an effective, and relatively inexpensive way. For the email marketer, it has become an indispensable weapon that often means the difference between failure and success. 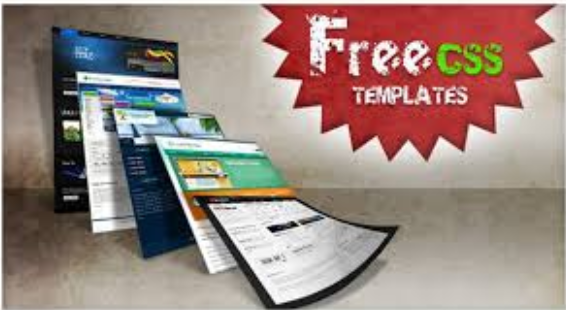 Although more customers and subscribers are demanding HTML email, ensuring seamless compatibility across the array of mail clients and web browsers can make actually designing the template a nightmarish experience. Don’t fret. We have listed four of the best practices you can use to guarantee a great design. We all know that most email readers excel at sending and receiving email. That is what they are made for, so that is what they are good at. Unfortunately, many do not realize that these programs are not great at creating HTML email, even though they may support the format. We strongly suggest that you do not design your template with a typical mail client such as Eudora or Microsoft Outlook. By doing so, you run the risk of ruining the format of the message for your recipients using different mail reading programs. Luckily, there are many capable HTML editors on the market, and all are geared to simplify the design process and help you create messages that are compliant with web standards. You can discover a range of design possibilities that can be easily coded by using HTML tables for your layout. These tables make it easier to break your space into columns and rows, allowing you to add streamlined organization to your template. They can also help weed out some of the problems caused by different email readers and how they render HTML code. While some designers may prefer more advanced methods that call for coding to the latest standards, using tables doesn’t necessarily mean you have to revert to the primitive days of HTML programming. The fact that so many clients support HTML today increases the chances that your tables will display just fine. 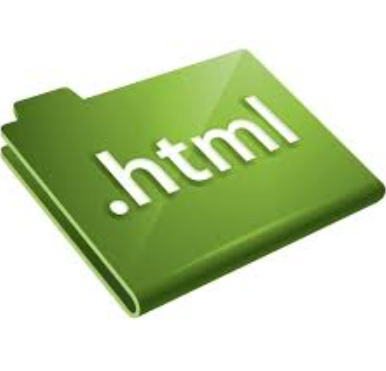 If you are a proficient HTML designer, you may be used to creating a separate CSS file that contains the formatting instructions for tags, and referencing that file through a link in the head section of a web page. Although this works fine in most locally operated mail programs, it usually does not carry over to web-based mail. For example, Hotmail requires that CSS be spelled out in the body, Yahoo mail needs it spelled out in the head, and Gmail only offers support for inline CSS. These are just a few of many reasons why designing HTML email with CSS can be very frustrating. There are, however, several ways around them. If you carefully format your CSS with semantic markup, email readers that only ignore some of its features will likely downgrade your message to an Rich Text Format (RTF) look without ruining your links. When designing your HTML email template, try your best to the keep the formatting as simple as possible. The technology itself is ideal for incorporating things like images, Flash animation and forms, but you should never let these dynamic features hinder the effectiveness of your message. The more complex HTML gets, the more it degrades in performance and turns off the reader. You must also keep in mind that some mail clients may not work in perfect harmony with certain features. This should give you all the more reason to keep your design simple and effective. Twitter can be a valuable tool for publicizing your lenses or website but first you have to put in some work upfront to grow your Twitter follower base to a valuable size. However, you don’t want just any followers, such as autobots, you want followers that are genuinely interested in the topics that you cover. So you need a follower strategy that will develop a valuable follower base of interested Twitter followers. There are plenty of tech tips and review tools out there that claim they can get you thousands of Twitter followers and some of them may be able to, but the quality of your followers is also very important. If you do not get like-minded Twitter followers, then your tweets are going to fall on deaf ears and there will be no valuable to your follower base. Twitter account holders will only follow accounts that follow them back, so it is best to setup your account to automatically follow back. There are several tools on the web to manage your Twitter productivity. Personally, I use SocialOomph to manage my multiple Twitter accounts. It auto follows anyone that follows me and also sends a direct message that I created to those new followers. It used to be that lots of companies offered free tools for auto follow features, but because of some restrictions that Twitter has placed on the number of follows and unfollows from any one server, most tools now charge for this service. There are several free tools that let you compare your followers and friends so that you can sync them up manually. These are helpful but they take a bit more work than an auto follow tool. 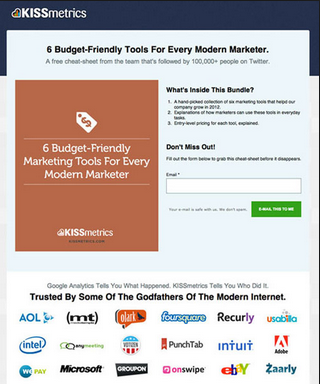 If you are interested in these free tools, check out ManageFlitter or FriendorFollow. The best way to get new Twitter followers and create buzz is to actually share something worth retweeting. It seems most marketers on Twitter just want to send out self-serving tweets about their product, service or content. While this is okay to do in moderation, you need to pepper your tweet stream with info that is useful to your followers. Most of the time, this will not come from your own site. However, it is this karma that can result in others sharing your material too. @GuyKawasaki is one of the best Twitter users at sharing interesting info from across the web and his stuff gets retweeted all time. As a result, he has hundreds of thousands of Twitter followers. If you are only planning to send out marketing info on your products, it is going to be a lot tougher to grow your Twitter follower base. Share good interesting things that you find from around the web and people will place a much greater value on your tweets. Twitter followers hashtag are the most valuable tool on Twitter and you need to take advantage of them. A hashtag is a word with the # in front of it such as #movies. When I tweet about anything I always include several hashtags that I think make sense, some may not have even been used before but I include them because they are likely to be used in the future. So if it is a movie post, I will include the #movies #films #cinema and maybe event specific hashtags for stars, such as #tarantino. The reason hashtags are so important because when people want to find specific information on Twitter, they often search by hashtag. It is a very easy way to follow a stream about a specific topic. So if I wanted to know what was going on with Quentin Tarantino, I would search #tarantino on Twitter and get This Stream. From a follower standpoint this is incredibly important for two reasons, when someone is specifically looking for #tarantino info, my tweet is going to show up in the #tarantino stream if I used this hashtag. Secondly, it is a way to keep treats relevant long after you tweeted them. One of the big problems with Twitter is the sheer number of tweets per minute mean that anything you say now will likely disappear from the first page of your followers stream within 5 minutes. But if you use highly targeted hashtag, those tweets will continue to show up in specific searches for a much longer period (depending upon how often a tag is used). I like to have some general tags in my tweets to get more current exposure and then a few highly specific tags to show up in searches in the future. Most of my unsolicited follows come from hashtags. The Twitter recommendation engine is a good place to start and I through the “Who to Follow” list once every couple of days. However, I only follow users that look like they follow back (following is equal to or greater than followers). But don’t stop at the “Who to Follow” list, there are other good methods to get Twitter followers by finding other people with similar interests. i have already discussed the value of hashtags to get your tweets noticed, but they are also good to find like-minded Twitter users. You can use hashtags to search any specific topic. Then as you look through the tweets with that hashtag, you can find good Twitter users to follow that are also likely to follow you back. For instance, my focus is movies so I will often do searches of #movies and #films to find people posting about movies that I do not yet follow. Again, I only focus on people that are likely to follow me back (more following than followers) but this is a great way to find lots more Twitter users to follow outside of the short little list that Twitter recommends. Theoretically, your followers and following lists have interests similar to you, at least a majority should. If you browse through your followers followers, or your followings followers, you will find lots of other Twitter users with similar interests. Screen those for the likeliest to follow you back and then follow those users. These are all great free ways to find Twitter users to follow and also to get like-minded Twitter followers in return. The #followback hashtag is specifically used by people looking to increase their own followers by following others. Virtually all of the people using this hashtag will follow you back, however, to be safe I usually look at the number of followers and following for each person. If someone has thousands more followers than following there is a good chance they will not follow you back. Twiends is a really interesting site for growing your Twitter follower base. The site uses seeds (as in to grow your garden) as currency to help you grow your network. You get a certain number of seeds just for joining and you can decide how many seeds your are going to pay for people to follow you (the default is 2 seeds per user). You can follow other Twiends members to get more seeds to find more Twitter followers for yourself. So it becomes an endless loop. What really makes this work though is the segmentation. You can enter up to five interest keyword phrases so you can specifically follow people that have one of those 5 interests also. That is a good way to make sure you are moving in the right direction of adding Twitter followers with similar interests. 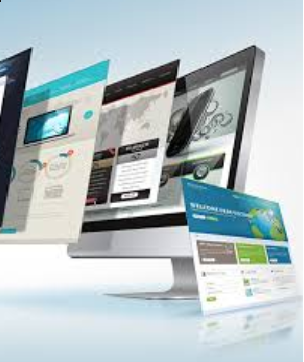 A recent study by Marketing Sherpa reveals that there are small number of online marketers who can use landing pages to their maximum profits According to this study, around 44% of clicks for B2B web companies lead their visitor to the homepage, & not a targeted landing page. This is quite shocking ! Are you worried about the high bounce rate of your landing pages? 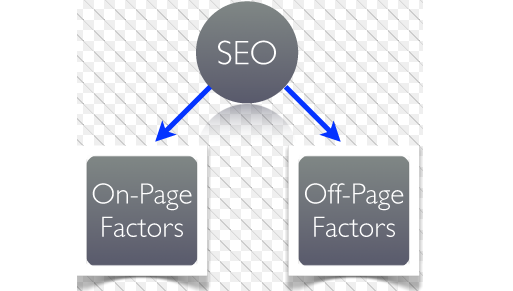 Well, there can be a wide range of reasons behind your landing page’s low conversion rate. Companies create landing pages because they want more conversions. And when it’s about converting your target audience, you really need to do extensive research to produce designs that instantly ‘hook’ the audience and content that compels them to complete a desired action. I need help with my homework and I know exactly where to go. Thesis Geek – thesis help from experts online. Looking for essay help? Hire an essay helper online. The Made Thing – a Good Life is Made.